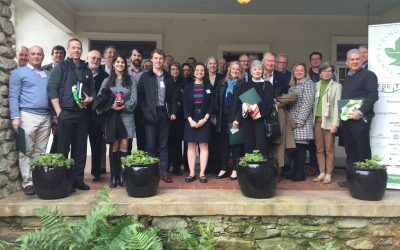 The Sandy Springs Conservancy honored National Park Ranger Jerry Hightower with its annual Greenspace Champion Award. Jerry is a well loved local hero who works in the biggest park within city limits: the Chattahoochee River National Recreation Area. He helped create the Recreation Area in the 1970s. Hightower said he was touched by the honor of receiving the award. 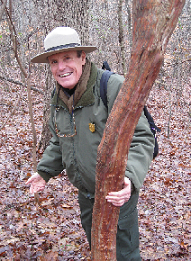 Anyone who has attended one of Jerry’s many nature hikes and talks knows his amazing knowledge of the land and conservation. He is truly a hero of our community.